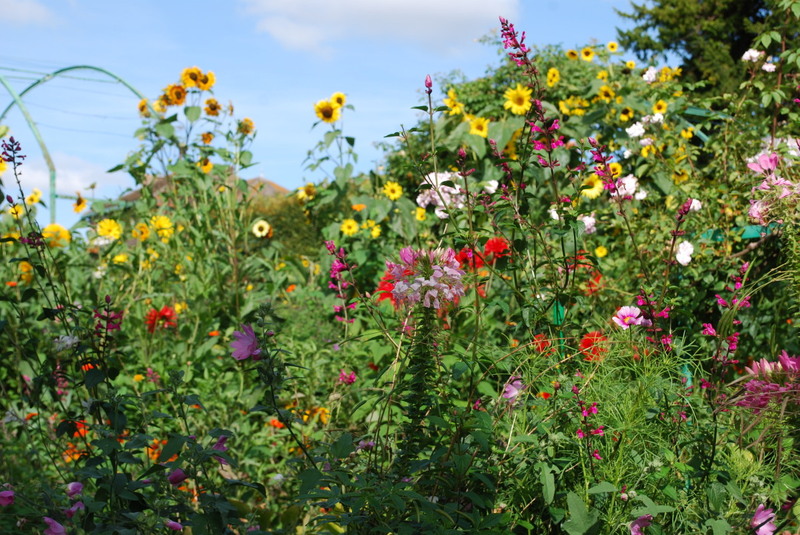 The beginning of Autumn is a gorgeous season in Giverny. Walking in the paths of Monet’s garden provides a unique experience of being merged in the flowers. 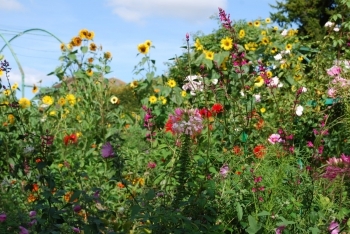 Giant dahlias, cosmos, sunflowers have reached an incredible height. All mixed together in enormous bunches of colors, they dance in the slightest breeze. The few visitors exclaim, astonished: It was worth coming! So many flowers! I wouldn’t have believed! The air smells of sages, lavenders, and the acid fragrance of dying poplar leaves. The waterlilies floating on the pond seem to be dreaming all day long. They hardly open for a few hours in the afternoon before closing again and returning to their sleep.